I’m a little photo obsessed. I’ll admit it. When I had my daughter I had the chance to get her in for newborn photos and that was it- I was hooked. We must have had her in for professional photos 5 or 6 times in her first year. I’ve slowed down a little bit- I’ve only had her in for pro photos a few times this year- our latest session being today. While I was cruising around Etsy a little while back I stumbled upon the cutest little vintage-inspired apron and thought to myself “How cute would that be in a “baking cookies” themed photo session?”. I couldn’t have been happier with it, I can’t wait to see the photos! For the session we also had the option of doing an outfit change and ended up putting her in a black lace romper. She was getting a little tired of being posed (AND she had taken a bite out of a good half dozen chocolate chip cookies I had brought for the shoot and might have had a bit of a sugar high). She noticed a small bed in the studio that the photographer uses for little, little babies. Well. my girl decided that she wanted to lie in it. “BED? Bed? Bed?” she asked. We dragged it over and told her she could sit on it but that she was just too big to lie down on it… That did NOT stop her. I can’t remember the last time I laughed so hard. 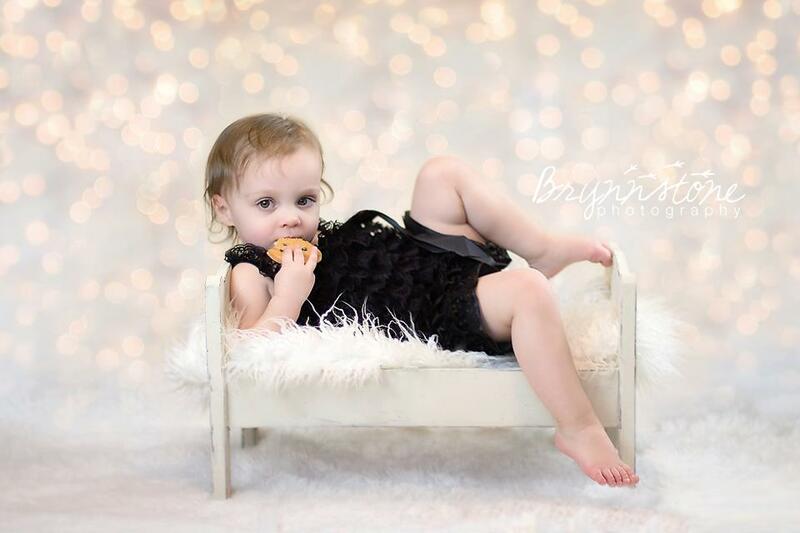 The original plan was to get some sweet shots of her with a pretty sparkling light background but we had to bribe her with a cookie and appease her demand for the bed. We had her sitting on it for a moment but she had it in her head that she had to lie on it. You could see the cogs turning in her head as she contorted herself, trying to fit into the teeny bed. 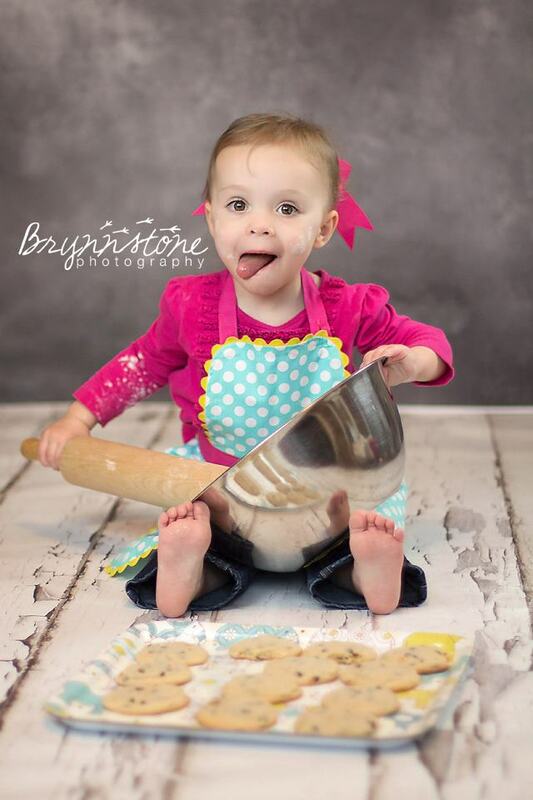 What resulted was this ridiculous kind of giant-baby, tiny-bed pinup pose as she awkwardly balanced herself on her side with limbs jutting out in all directions- all while trying to stuff cookies into her mouth. Here are a couple of previews from yesterday! Big thanks to Brynnstone Photography for capturing these moments for us!